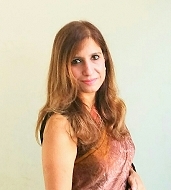 Dr Praveen Arora has done MCA, M.Phil in Computer Science and completed her Ph.D degree in year 2011 from kurukshetra university, kurukshetra. She has a rich experience of 17 years in the industry as well as in Academia. She started her career as an Application Developer in Software industry in year 2001, worked there for 4 years and then joined JIMS in year 2005. She has been working as Head of Department - Information Technology since 2007.